Ari's Blog | Welcome to my blog! Hey! My name is Ari, I was born in Orangeville Ontario. In 2014 I moved to British Colombia with my family. I started late french immersion at Pitt River Middle before coming to Riverside. I have played hockey for 11 years and I am currently playing with TCP (Tri City Predators) C2. A lot of my achievements come from my hockey career such as the annual “World’s longest hockey game” or the Bantam Program. I have a dog named Crosby (After the hockey player, Sidney Crosby) he is a 3 year old Nova Scotia Duck Tolling Retriever. When I’m older I want to study to become a general doctor/physician. In the future I want to travel around the world and learn new cultures and leave a little bit of my culture behind. I chose this quote because it inspires me to breathe when I’m panicking or upset, it reminds me that even when I can’t find the calm in the chaos, it is still there and I need to go find it. It’s like finding the eye of the storm. I chose this video because it always seems to make me smile and it just feels so comforting and makes me so happy to watch. I also chose this video because it is about a girl coming out to her father which has been an issue coming out to my family as a part of the LGBTQ+ community. 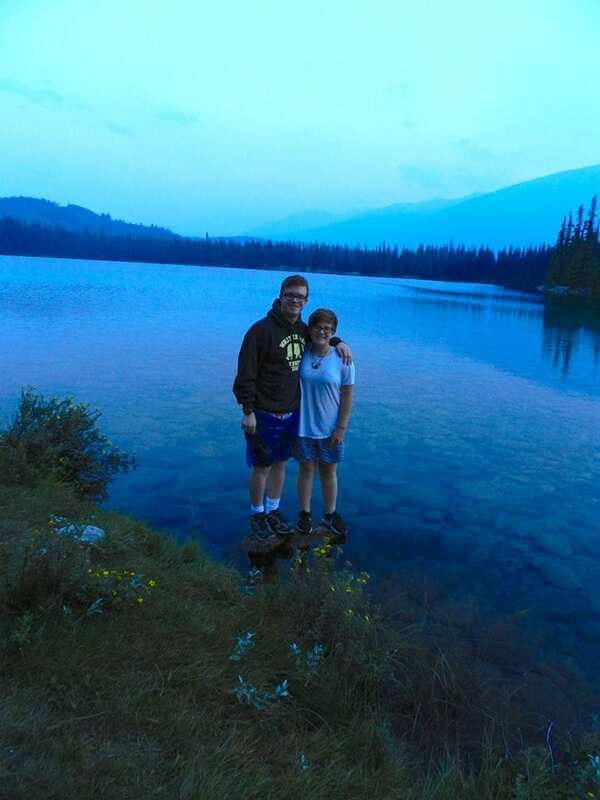 I chose this picture because it is a picture of me and my brother when we took our road trip to the Yukon. My brother is a big role model to me and also a big support to me and helps me ajust to high school.